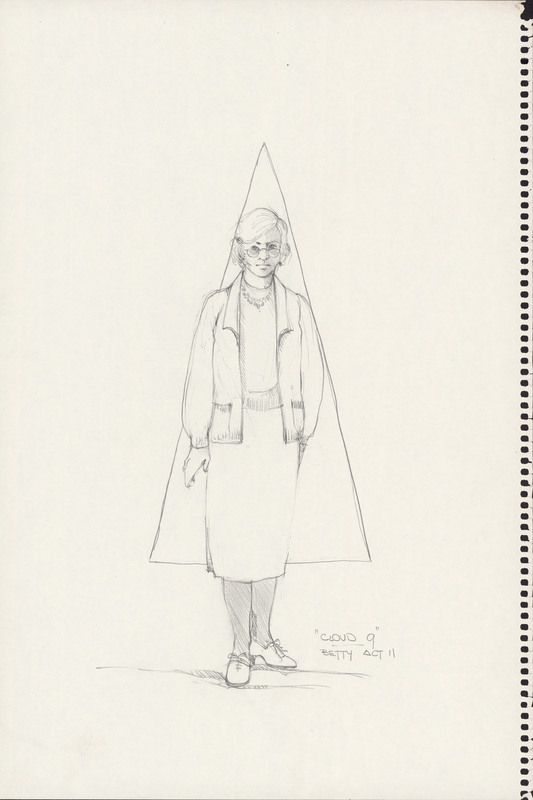 Item is a pencil sketch of a costume design for Dalhousie Theatre's 1989 production of Cloud Nine. The costume is for a character named Betty in Act II. The sketch shows one figure wearing the costume. The sketch was torn from a spiral bound sketch book and the torn edge has not been cut off.